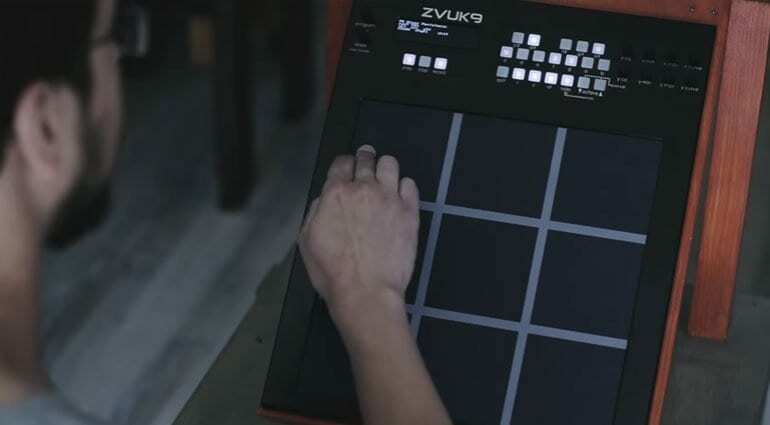 The Zvuk9 (pronounced “zook 9”) MIDI controller, from Zvuk Machines, has been in development for about 3 years and will very soon be appearing on Kickstarter and Indiegogo. Here’s a sneak preview of what this large, expressive playing surface and controller is all about. There are many controllers with pads on them but few the size of the Zvuk9. 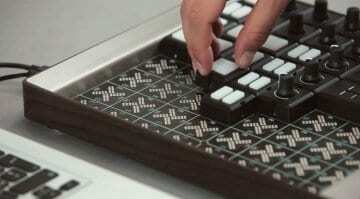 Its 3 x 3 grid of 9 pads looks a lot like a Octopad or electronic drum trigger. It’s certainly of similar dimensions. But these pads are designed to be manipulated, stroked and pushed rather than struck. 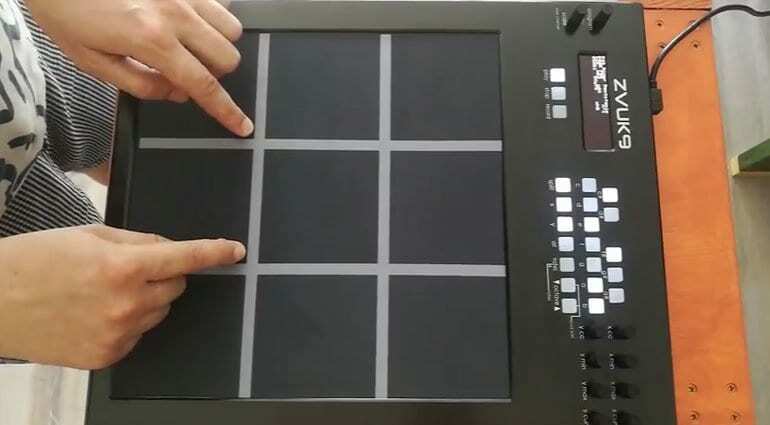 Each pad is an XY vector controller capable of sending note, touch position, movement, velocity and aftertouch. They can be assigned their own MIDI channel and CC numbers and used for anything from parameter manipulation to triggering notes. The idea is that beyond controlling parameters it brings out a different way of playing than you would using a traditional keyboard. You certainly have to cope with the size of this thing. 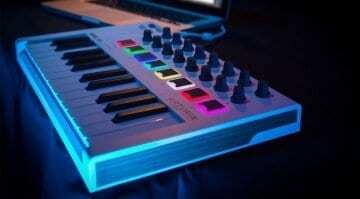 I imagine it would be difficult to play chords with this thing. But that’s not really what they were going for. Their inspiration came from seeing a Hang drum being played by a street performer, and so a simpler, more percussive feel is perhaps what they are trying to convey. Yes, playing chords across multiple pads might be strange, but you can set one pad to send multiple notes and play a chord pressing just one pad. When you want to set up pads to play a scale not available under “scales” or to play chords, you can easily set that up with Notes buttons. The video (below) gives some great examples of how you can map the pads to various parameters in order to generate interesting performances. 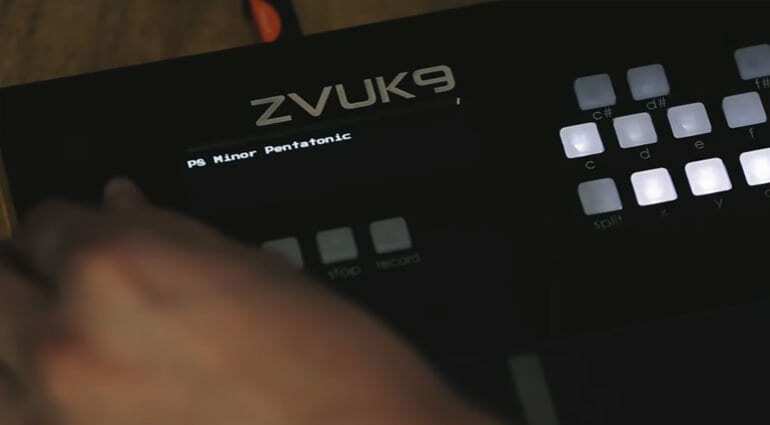 The Zvuk9 is completely stand alone and can be used on any MIDI equipped synthesizer. Or you can use USB into a computer. The assignment can all be done on the little screen. They stress how there’s very little menu diving and all the functions are available on the knobs and buttons. You can set scales and tonic chords to turn it into a very playable polyphonic instrument – that’s very appealing to me. It looks great, if a little on the large side – the depth is really going to eat into your desktop space. According to a YouTube comment the price including VAT will be just over $1000 (Canadian). The crowdfunding campaign is due to start in September so they still have time for some last minute tweaks. If you want to be notified when it all kicks off then sign up on the Zvuk Machines website. Hello, thank you for publishing a post about Zvuk9! Yes, playing chords across multiple pads might be strange, but you can set one pad to send multiple notes and play a chord pressing just one pad. When you want to set up pads to play a scale not available under “scales” or to play chords, you can easily set that up with Notes buttons. Thanks for getting in touch – i’ve added your comment into the body of the article.